The 27th Academy Awards honored the best films produced in 1954. 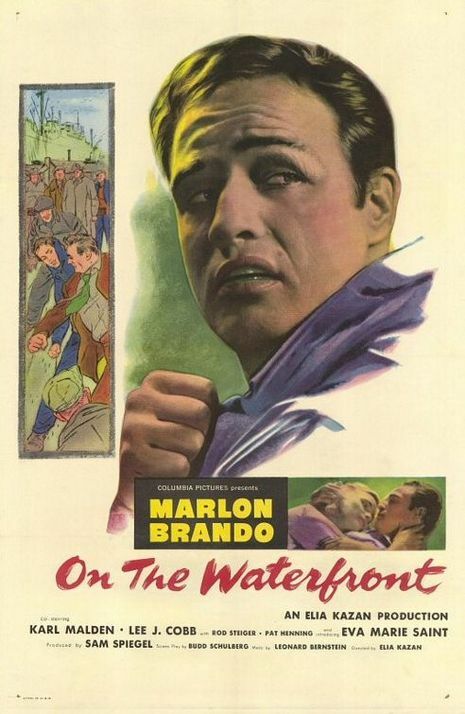 The Best Picture winner, On the Waterfront, was produced by Sam Spiegel and directed by Elia Kazan. It had twelve nominations and eight wins, matching two other films, Gone with the Wind (1939) and From Here to Eternity (1953), even though those two each had thirteen nominations. The low-budget, black and white On the Waterfront was filmed entirely on location in Hoboken and told the gritty story of New York dock workers, brutality, corruption, and embroilment with a gangster union boss. It provided an expose of union racketeering while showcasing the murder of an innocent longshoreman. Kazan and screenwriter Budd Schulberg justified their own naming of names (blacklisting-testimony against alleged Communists) as friendly witnesses before the House Un-American Activities Committee (HUAC) in the early 50s with the film's story of an heroic longshoreman informant Terry Malloy (Marlon Brando) who stood alone and turned witness against the corrupt and intimidating union bosses and became a marked 'pigeon'. A "rematch" occurred in the category of Best Actor, where Marlon Brando and Humphrey Bogart were competing again for the first time since Bogart beat him three years earlier. In an surprise win (Bing Crosby was the favored nominee), Brando received his first Oscar for his performance in On the Waterfront, which is now seen as one of the most justified upsets in Oscar history. 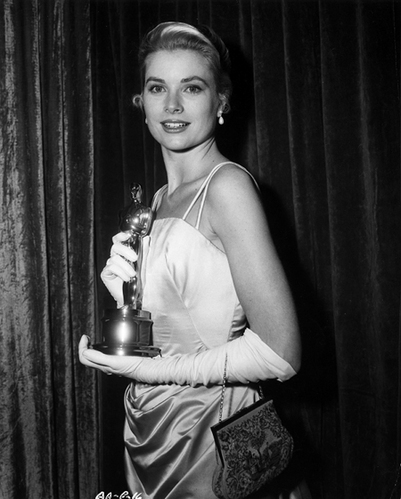 Grace Kelly won Best Actress for The Country Girl in an another upset. Judy Garland, who was heavily tipped to win Best Actress for the movie A Star Is Born could not attend the ceremony as she had only recently given birth to her third child. Cameras were set up in her room so she could express her thanks in the likely case of her winning. Groucho Marx later sent her a telegram expressing that her loss was "the biggest robbery since Brink's." The twenty-seventh Academy Awards ceremony was held on Wednesday, March 30, 1955 with Bob Hope hosting at the RKO Pantages Theatre in Los Angeles and Thelma Ritter hosting at the NBC Century Theater in New York.